According to a recently published study reported by Swedish scientists, people who are obese and middle aged are up to four times more likely do develop dementia than people of normal weight. Published in the journal Neurology, the research was conducted 8,534 Swedish twins over the age of 65, of which data showed that 350 had been diagnosed with Alzheimer or vascular dementia, while a further 114 had possible dementia. Using records of the patient’s past weight compared to their age, researchers found that middle aged people who were overweight are 71 per cent more likely to develop dementia than for people who are of a normal weight. An person is considered overweight when his body mass index (BMI) falls between the 25 and 30 ratio, while a ratio between 20 and 25 corresponds to a person of normal weight. What’s extremely curious, and more or less supports the hypothesis of the link between dementia and obesity, is that persons falling under a BMI greater than 30 (clinically obese) in their midlife had an almost four times (300%) higher risk of dementia. lmost 30% of those in the study, 2,541 in total, had been either overweight or obese between 40 and 60 years of age. “Although the effect of midlife overweight on dementia is not as substantial as that of obesity, its impact on public health and clinical practice is significant due to the high prevalence of overweight adults worldwide,” said Xu. Scientists still don’t know why exactly overweight is linked to obesity, by they believe higher body fat is associated with diabetes and vascular diseases, which are related to dementia risk. 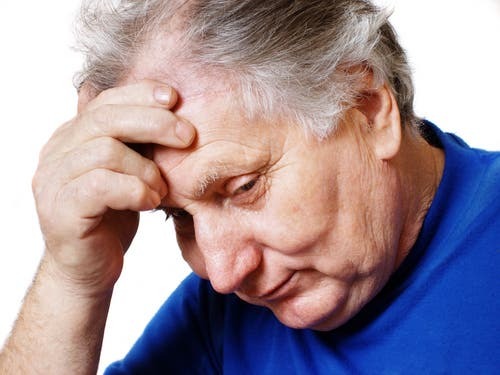 It is believed that about one in 20 people over the age of the 65 has some form of dementia. Similar studies have been made in 2004 and 2005, both leading to the same conclusion that indeed obesity can influence the development of dementia.